I am thrilled to welcome Adidas-sponsored professional marathoner Neely Spence Gracey to the Ali on the Run Show! Neely lives in Boulder, CO, with her husband and their Vizsla, Strider. Neely was born to be a runner—literally. She was born on Marathon Monday while her dad was running the Boston Marathon. (He ran a 2:16:40 and finished in 19th place, and went on to make the 1992 Olympic team and become a world championship medalist.) On this episode, Neely talks about what it was like growing up in a running family—including the time she joined her grandma for a Turkey Trot and out-kicked her when the finish line came into view! She also shares what it was like being home-schooled for most of her life, and opens up about how running went from something she did because her parents did it to something she really discovered for herself. Neely made her marathon debut at the 2016 Boston Marathon, where she ran a 2:35:00 and finished ninth (and was the first female American finisher), and followed it up with a 2:34:55 finish at the 2016 New York City Marathon, where she finished eighth. (If you’re gearing up to run the NYC Marathon in a few weeks, get ready to take notes: Neely offers her best tips for tackling the tough course!) Neely also opens up about how both she and her husband have Lyme Disease, and she talks about the challenges they’ve both faced with the unpredictable disease. 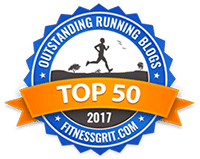 She shares how she deals with injuries as a professional runner and how she stays mentally strong at every point in her training, and dishes out her best advice for the everyday runner. 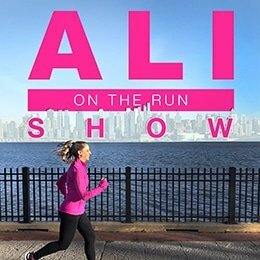 One Response to "Ali on the Run Show Episode 42: Professional Runner Neely Spence Gracey"